In general, when employers make property available to employees, it should be for work-related purposes and for the furtherance of their duties in the workplace. Employees may obtain permission from the employer to use company property for other purposes. Company property can be highly valuable and important for the proper running of business. It is, therefore, necessary that the use of that property is properly regulated. In the absence of an agreement with the employer, employees who use company property for private purposes may be dismissed if there is a clear rule prohibiting such unauthorised use as was held in Ndlala v Value Truck Rental (1995) 9 BLLR 138 (IC). The unauthorised use of company property may be a form of theft, however, the offence is wider than theft in the technical sense because it does not require the employee to have actually taken possession of the employer’s property or alternatively deprived the employer of use of that property. It is for this reason that employees who are caught in possession of company property are usually charged with unauthorised possession. In the matter of Rainbow Farms (Pty) Ltd v CCMA and Others (2011) 5 BLLR 451 (LAC), the court went further and held that the mere act of removing the employer’s property from the place that it is usually kept, is sufficient to constitute theft. In such circumstances, the misconduct is usually enough to warrant dismissal. In Continental Oil Mills (Pty) Ltd v Singh NO and Others (2013) 34 ILJ 2573 (LC), the labour court held that the common factor in matters of theft and unauthorised use of property is dishonesty. In the aforementioned matter, the court was faced with an application to review and set aside the arbitration award issued by the first respondent (commissioner) on 8 June 2010 declaring the dismissal of the third respondent (employee) by the applicant to be procedurally unfair and without a fair reason. The employee was accused of removing a bottle of mayonnaise from the production line which was discovered in her bag. The reason provided was that she had removed the bottle of mayonnaise for testing purposes. The court then had to decide whether the conduct constituted theft or the unauthorised use of property. The court held that “Generally, theft and unauthorised possession belong to the same genus of dishonesty. Both are premised on the conduct of an employee which deprives the employee of the ownership of a good. While theft has an element of intention, an employer is not ‘required to prove charges of theft with the rigour expected of the state in criminal prosecutions – proof on a balance of probabilities suffices.” The dismissal of the employee was therefore found not to be unfair. With reference to unauthorised use of property, in particular, it is important to establish who is the designated employee in the workplace who is able to provide such authorised use of property. An employee cannot simply say they were authorised to use property by an employee who does not have the ability or permission to grant such authorisation. Furthermore, where employees use company property, it would be useful to get them to sign a document in which they acknowledge the use of the property is only for company purposes unless written authorisation is granted to the alternative. Permission for alternative use of company property should only be granted in writing from the designated official. Should such matters be referred to the CCMA, the employer must prove the existence of the rule, that the rule was reasonable in the circumstances and that the employee was aware of the rule regarding unauthorised use of company property. May an employer overturn the decision of a chairperson? 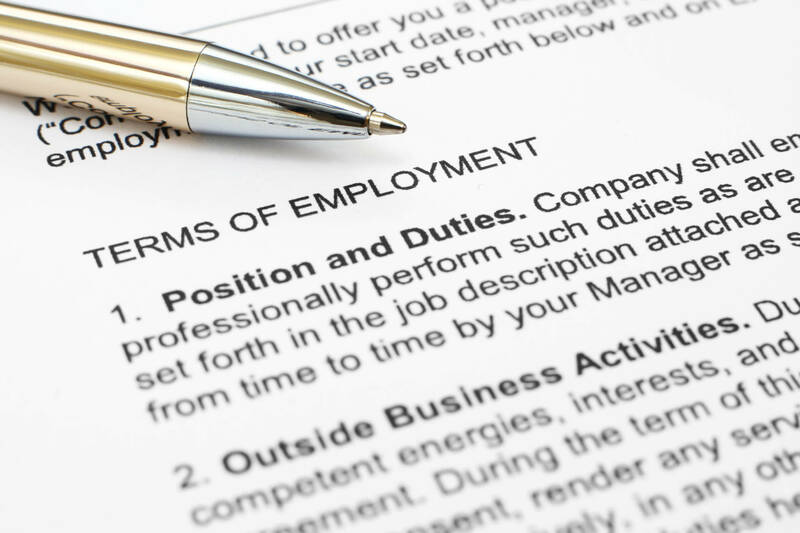 What are the rights a director is entitled to as an employee?